Winter is cold season without much vivid colors, but if you want to bring spring in your home, then you should follow my sunny tips! I plant some flowers bulbs that bloom quickly to freshen-up the air in my house, and to bring back some joyful and blooming moments. 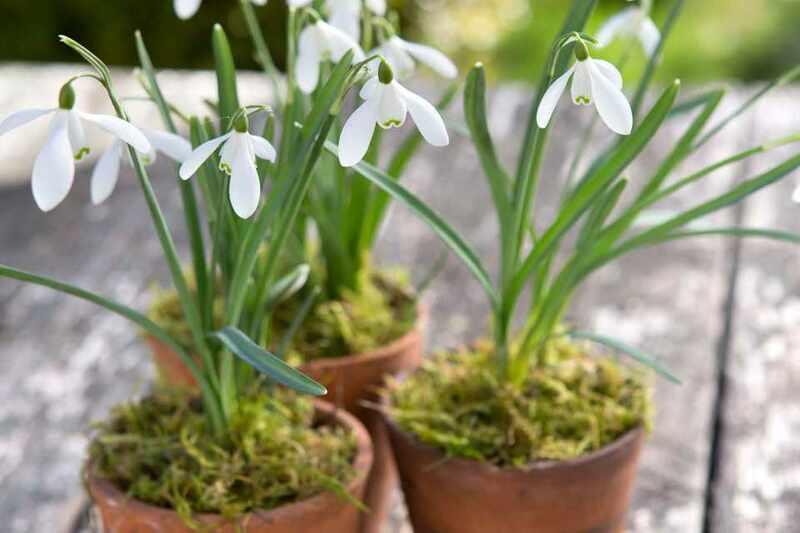 Plant the next bulbs in pots, place the pots near the window and in less than 3 days they will start to bloom harmoniously. They leave a nice perfume in my house, and guess who has blooming daffodils in winter? Me! In less than 21 days these flowers will create a paradise in your home. 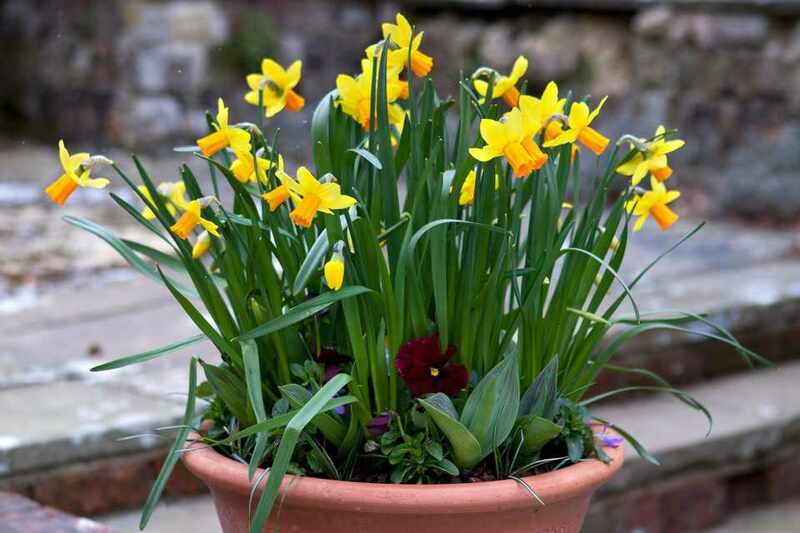 These flowers grow in any type of environment, but it’s best to place the daffodil bulbs in a bowl to a depth of 4 cm on a gravel rug. Once the bulbs bloom, I place the pot in a sunny window, I pour over the gravel water and, after a week, I replace the water with gin or any other type of alcohol, tequila or rum. “Drunkenness” will help plants grow to half their normal size, but with flowers as large and scented as usual. Hyacinths are beautiful indoor flowers that grow very easily. They need a lot of light, and once they bloom, their beautiful blue shade will create the perfect contrast with the outside snow. The bulbs, I’ve planted in a small pot on the pebbles spread evenly so that their roots grow naturally. 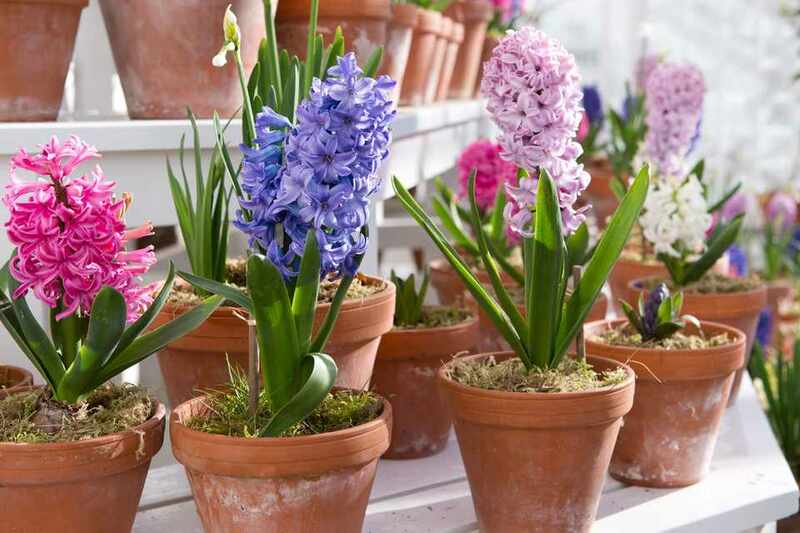 Also, hyacinth bulbs should be watered twice a week to flourish early in just two weeks. These are my favorite flowers, and I want to have beautiful snow drops even in winter. I plant five bulbs in a nourish soil pot and place it in a cool, dark place for eight weeks. Three weeks later you will have some gorgeous snow drops, which should be kept near the window.